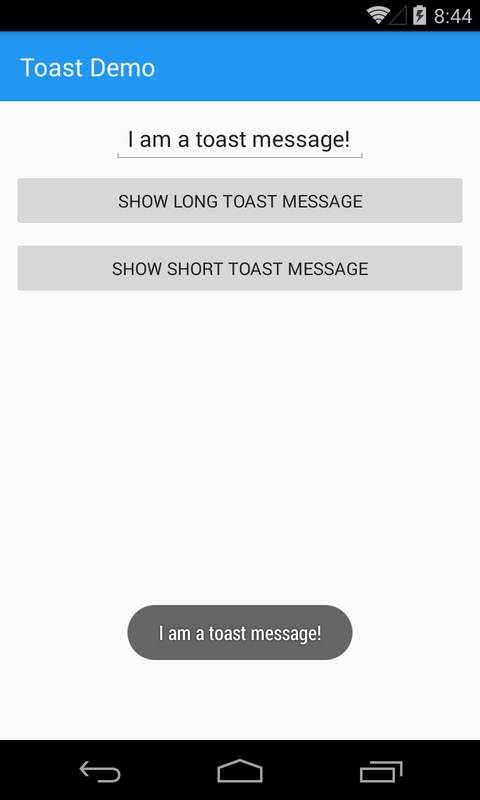 Quick and easy solution for toast messages in Xamarin Forms, it supports iOS and Android platforms. 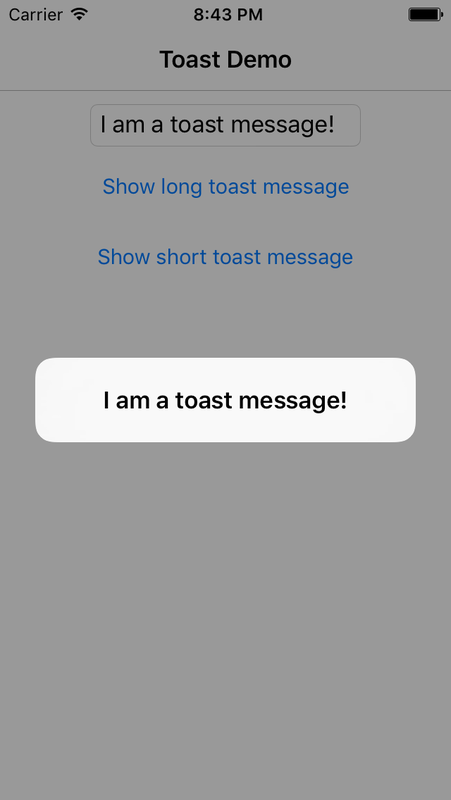 Toast message provides simple feedback in a small popup (which is disappearing in some seconds) like on the screenshots on the left (Android) and the right (iOS) sides. That’s it! Now you can show the toast by calling anywhere in the project the method XFToast.ShortMessage() or XFToast.LongMessage(). This entry was posted on October 17, 2016, 21:09 and is filed under development, Xamarin. You can follow any responses to this entry through RSS 2.0. You can leave a response, or trackback from your own site. Thanks for sharing.its help for me.